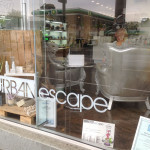 Welcome to Urban Escape hair & beauty, Prahran’s exciting new AVEDA concept salon. Well, it’s been a very hectic start to the year designing & building our beautiful new environmentally friendly salon. This beautiful space has undergone a mammoth makeover to turn it from slightly tired & drab to stunning & cutting edge. The attention to detail is mind boggling & the commitment to environmentally friendly “green” design is breathtaking. From the beautiful atrium garden planted & cultivated entirely by our Salon Manager, Vanessa & her Mum. To the locally sourced, reclaimed & recycled wooden floorboards hand laid by Urban Escape devotee James & our very own Director, Craig. Also sourced, designed & built by Craig, is the truly massive & magical colour table. Made from 100% genuine reclaimed, recycled old railway sleepers, must be seen to be believed. 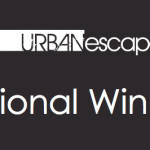 From all the team at Urban Escape, we look forward to welcoming you soon.